Information: Posey Island State Park is a small, one-acre marine park with 1,000 feet of shoreline. It is located a quarter mile north of Pearl Island, near Roche Harbor, San Juan Island. 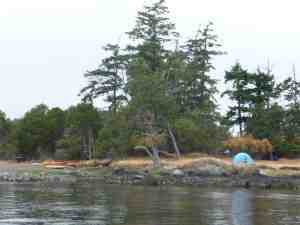 Posey Island is part of the Cascadia Marine Trail. Both onshore campsites are for the exclusive use of boaters arriving by human- or wind-powered watercraft. There is a sixteen-person limit for overnighters. Access: Boating access only. The closest access is at Roche Harbor Resort on San Juan Island, a half-mile south. 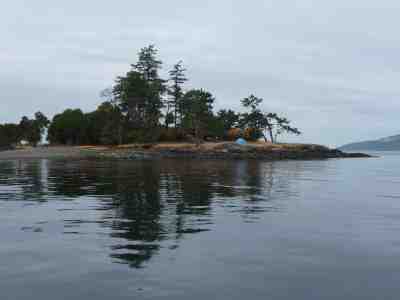 -----Posey Island is an intimate little island -- about the size of this writeup. 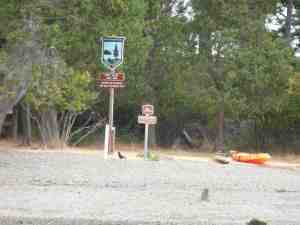 A perfect place for folks who wish to kayak out from Roche harbor and spend a night camped on their 'own island. The sunset views from the island are legendary. It also makes a nice spot for a picnic ashore for motorized boaters. -----The island is not named for its abundance of flowers, although old timers in Roche Harbor say they used to walk across the sand bar, on the north side of the island, from the mainland to pick lillies.